October 30, 2017: Andy Rehfeldt changes songs to very different genres. Tech + musical genius! Techtonic friends! Three things to do this week. 1. Support Techtonic by clicking "Pledge Now!" above for our October fundraiser. WFMU is funded by listeners and we really do need your support. Thank you! 2. After pledging, immerse yourself in Andy Rehfeldt's YouTube channel - it's brilliant. See also Andy Rehfeldt on Patreon. 3. 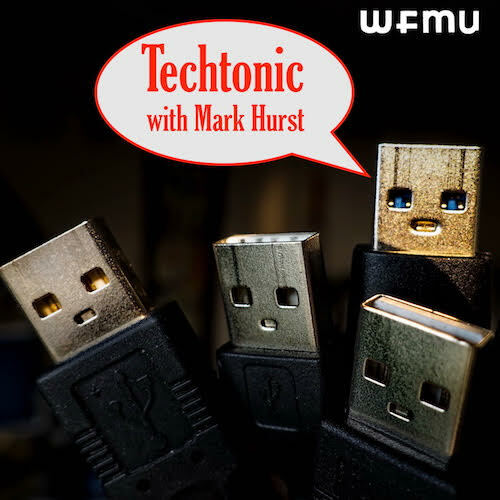 Subscribe to the Techtonic podcast to catch up on past episodes. Andy Rehfeldt, composer and musician, turns popular songs into different genres while preserving the vocal tracks. 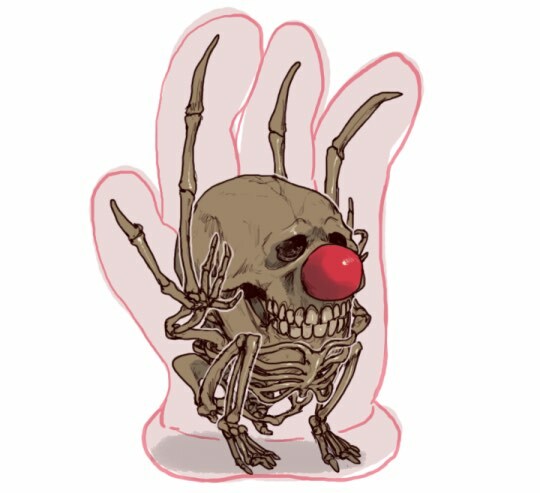 Also, a Halloween-inflected AI brain remixes ideas for new Halloween costumes. Mark is assigned one of them. At left, an X-ray image of Hamburger Helper. Skeptech was AWWWESOME! Can't wait for the third one! Thank you, Bea! Hi, Melinda! Hi, Mark. The video of Skeptech 2 will be available at some point, right? Maybe in the WFMU archive or on the Vimeo web site? I wasn't able to watch the stream live last Thursday. Hi Ken, yes - we will have most of the show available via video archive - just have to do some editing to get it ready. Should be ready sometime soon. What is going to happen with regards to the MTA Cards being phased out so people can just use their phones? It's a terrrrrrrrrible idea, and the "what happens if you lose your phone?" problem is totally going to pave the way for people to get implants. that squid metaphor, running a veal-factory, was awesome. @Fox - I envision a dystopic scene where there are signs that point the non-phone people off to the side and they trudge off into some hallway/tunnel and are never seen again. I have to assume that the whole face-scan thing will be added to the set of possible authentications to unlock the phone (along with the good old PIN and presumably still fingerprint) which you can choose from. same thing in toronto. i don't have a smart phone, nor do i want one, and if they phase out cash payments or tickets / tokens, i'll just drive everywhere. i won't be the only one. @Fox: Yep, my wife constantly leaves her phone at work or any other place. Although, she'd realize she left it before getting too far unless she ubers home. Me too - this is Just What I Needed! This is good creative fun. A good frontal lobe filter at the end of the workday. Lovely version- I'd imagine Ric Ocasek would be not amused. Re: phones, I think we need some sort of device to anchor them to a single location, say, a cord. That way we'll always know exactly where the phone is. An additional benefit would be that we'd only be distracted by the phone during those times of day when we're in that same space. Those shred videos are brilliant. Oh, Dean. Dean, Dean, Dean. Thanks, Northguineahills & herb & Bea & queems! This is hilarious, even better then Weird Al! Remind of the concept of Atom's Senior Coconut, but using more then one genre for the output. OMG - congrats on the pledge! I think there was a Panda Clam costume option? Can we get a recap of the costumes or at least put them on the comment board? What Folsom said, and please post the costume next week! Back to the subject of Apple face recognition, I just encountered an article: www.fortune.com... "Why Apple Made a Bad Bet on Face ID"
I can hear you silently laughing, Gio!!! Samurai Angel reminds me of sat night live's Samurai Baker. And of course, he is a master baker! I'd say panda clam or starfleet shark. My brain is telling me I should leave work. Thanks Mark! I like Panda Clam, but Potato Man would allow for some flexibility of interpretation. Would you have to wear a muffin top with the cupcake pants? The costume names remind me of Kenneth Koch's marvelous book-length poem, "When the Sun Tries to Go On." Panda clam - panda costume with clam ears! I'm picturing him as a papa rellena btw love the monkey chant its the best way to end a show !